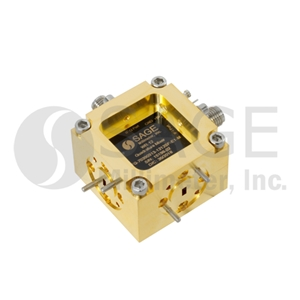 The SFQ-60390315-1212SF-E1-M from SAGE Millimeter is a Waveguide Mixer with RF Frequency 60 to 90 GHz, LO Frequency 60 to 90 GHz, IF Frequency DC to 2 GHz, Conversion Loss 15 dB, LO Drive Level 10 dBm. More details for SFQ-60390315-1212SF-E1-M can be seen below. WR5.1EHM from Virginia Diodes, Inc.
26 Waveguide Mixers from Virginia Diodes, Inc.
12 Waveguide Mixers from OML Inc.